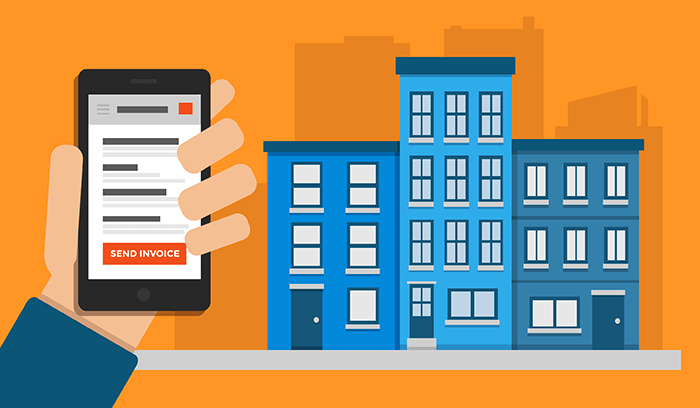 Billing and invoicing is an integral part of most field service interactions. It gives agents and technicians the ability to quote pricing and charge customers for parts and service rendered. This is useful in any industry where customers pay for one-off service visits—lawncare, HVAC, plumbing, pest control, wrecker services, and utilities are all common examples. Sadly, many businesses don’t have the infrastructure in place to do this efficiently. 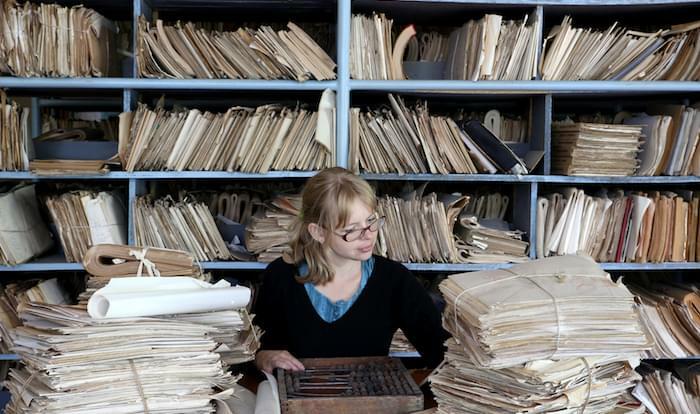 They either can’t collect payments onsite at all, or they can, but have to re-key every transaction into a separate system at EOD, which leads to stacks of paper invoices piling up in the office and a sloppy, mistake-ridden audit trail. That’s why it’s best to look for a field service management (FSM) solution that integrates with the accounting software you already use. The alliance of these two systems keeps field service data and financial data synchronized throughout the day and eliminates redundant data entry, which can save your company valuable time, not to mention the inconvenience of dealing with bookkeeping errors and customer disputes. With over 1.4 million users and over 50,000 accountants, CPAs, and consultants in its ProAdvisor network, Intuit QuickBooks is one of the most popular choices for business accounting software, especially among small and medium-sized businesses (SMBs). 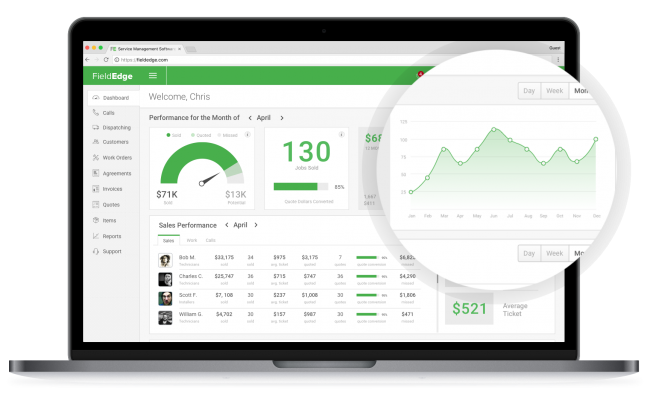 There’s a pretty good chance you’re using QuickBooks to manage your company’s finances, and if you are, you’ll get the most value out of field service software for QuickBooks. 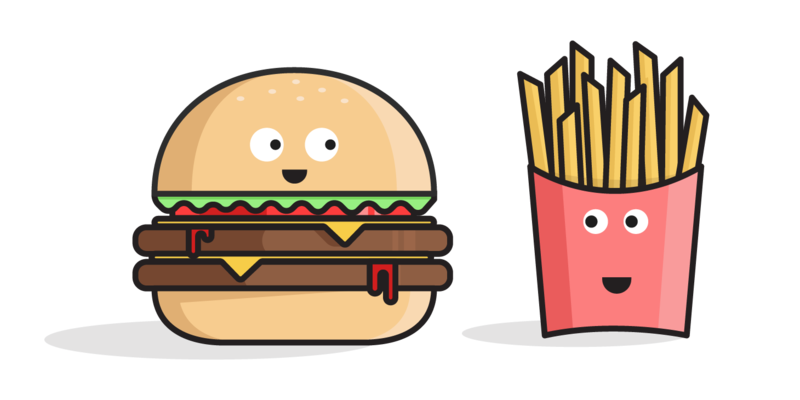 It’s easy for any software product to advertise compatibility with a third party application, but that doesn’t mean it’s truly integrated. Some FSM solutions only offer one-way sync with QuickBooks, which is better than none, but still a long walk from intuitive. Or worse, you might only be able to perform “data imports,” which is a fancy phrase for pulling in .CSV files. 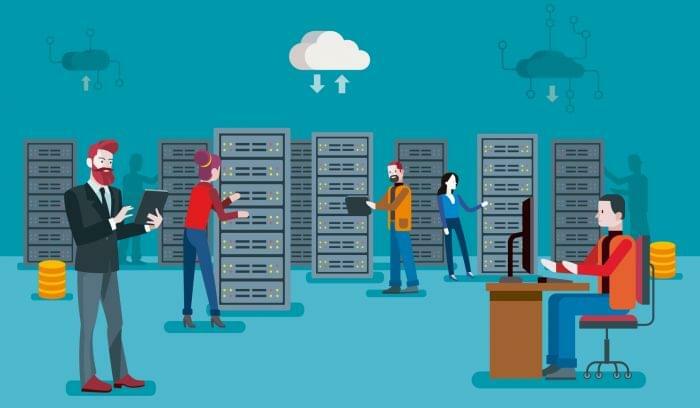 True integration means that both systems can share and update a single pool of data in real time, which is referred to as two-way synchronization. Create invoices in the field: Invoices you create in a mobile field service app will immediately sync with QuickBooks accounting data. This lets you give accurate, real-time price quotes for parts and services (especially if you created your parts lists in the QuickBooks inventory module) and update quantities as soon as you take items off the truck. Accept cash-on-delivery payments: Bill customers while you’re still on site, bank the funds instantly, and automatically update your company ledger. Some solutions also generate a digital record of the transaction so you can email the customer a receipt. Eliminate manual entry/re-keying: Instead of collecting a stack of invoices that have to be re-keyed into QuickBooks at the end of the day, or using an FSM tool that requires manual synchronization, an integrated solution sends new charges and billable items to the appropriate accounts automatically. Cutting out the extra step reduces errors and redundant data entry. Stay up-to-date on customer accounts: An FSM-accounting integration gives field service agents access to customer balances, overdue flags, and payment history. This helps them deliver better service and answer questions customers may have about their account. Better manage your employee payroll: Your technicians may already be using field service software to track hours worked and jobs completed. With an accounting integration, you can approve time-sheet data and send it directly to payroll (again, instead of having to re-enter or manually import the data). The following field service management applications offer gold-certified, two-way synchronization with Intuit QuickBooks. FieldEdge is a field service management tool that focuses on dispatch, customer account management, and managing service agreements. 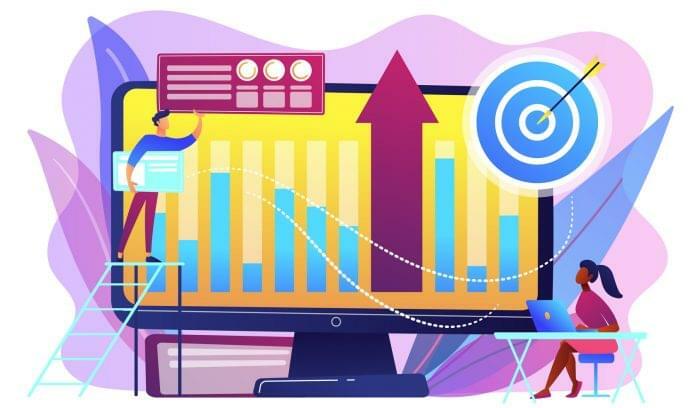 The software also has performance dashboards to provide up to the second analytics and mobile CRM features to keep everyone connected whether in the back office or the field. The software lets field agents work almost entirely from their mobile apps, including taking payments, invoicing, and quoting. FieldEdge is a Platinum partner that provides real-time data sync with Quickbooks so you never lose data because of a time delay. The accounting product also includes inventory management and the ability to update accounts in a single location, which cuts out invoice updates and double-entry. Okay, so this one’s pretty obvious. Intuit’s poster-child for field service management is a web-based field service application that works seamlessly with QuickBooks Enterprise on desktop and mobile devices: Intuit Field Service Management ES. It’s designed to help service companies manage people, customers, and costs without unnecessary paperwork or slow, manual processes. Intuit’s product accomplishes this through work orders and scheduling, built in GPS mapping, and a central repository of equipment/job information. Field Service Management ES can also generate instant invoices, accept mobile payments, and email receipts to customers. 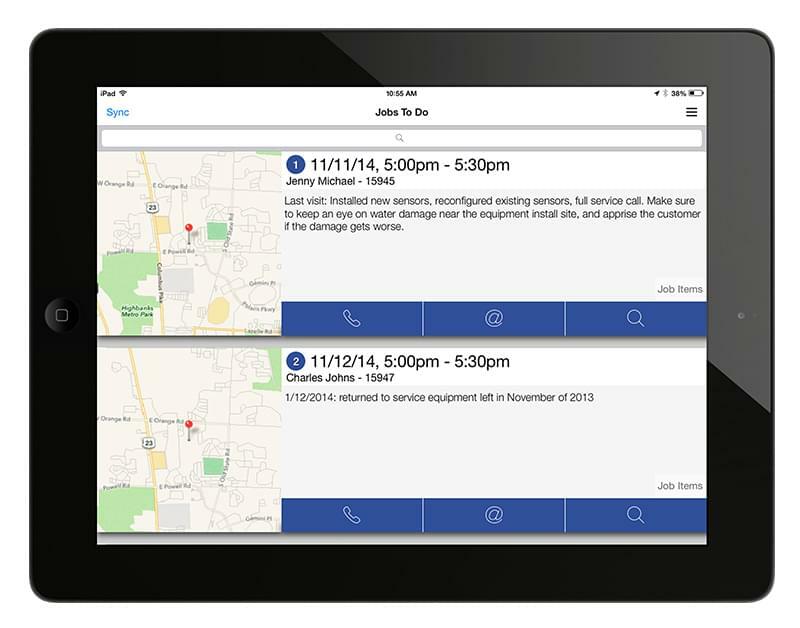 If you use Intuit’s enterprise platform, the field service app will even update inventory counts by truck. The time-card and payroll function and scheduled maintenance billing are separately purchased add-ons. Jobber is a software-as-a-service (SaaS) solution billed as “service scheduling software.” It’s built to manage technicians, visit scheduling, quoting, invoicing, and billing. 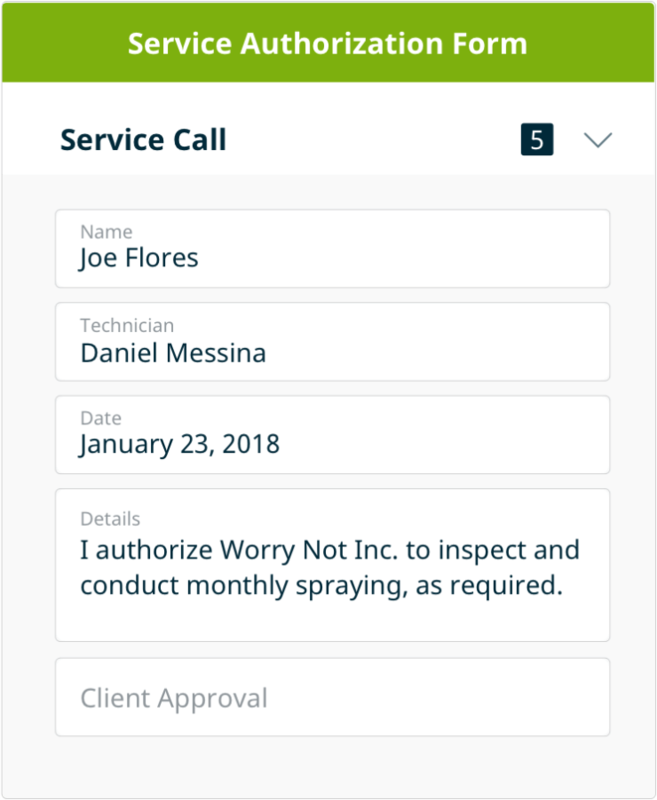 Jobber works well for cleaning services, general contractors, landscaping/lawncare, and HVAC companies, but can be customized to fit just about any mobile service business. Jobber claims to have “the best QuickBooks integration in the industry,” which entails a simple, automatic set up, two-way syncing, payroll tracking, and invoices. Jobber also has its own built-in customer relationship management (CRM) module, which gives it an advantage over competitors with more job-focused products. Kickserv is another web-based tool that can handle the standard FSM fare such as job scheduling, invoices, payments, time tracking, and GPS (although its route optimization abilities are limited). One thing that distinguishes Kickserv is its secondary focus on sales. Managers can track prospects and manage leads and opportunities from directly within the system. It also has a self-service portal, where customers can check on their jobs and make new requests, which can weigh heavily on customer satisfaction levels. Kickserv provides built-in, two-way syncing with both QuickBooks Online and QuickBooks Desktop. Smart Service is a QuickBooks add-on application that serves as scheduling and dispatch software for plumbing, HVAC, roofing, pest control, and many other verticals. Their core product lets mobile service companies add basic field service tools to their existing QuickBooks software. Additional add-ons are available for mobile access, inventory, lead management, and service agreements. Smart Service is a gold status, two-way synced application for QuickBooks. It helps businesses streamline the billing process, as well as track labor hours for payroll management. Users can build estimates based on accurate pricing information and pull in sales transactions and estimates from QuickBooks data. FSM/accounting integration is all about maximizing the value of your software. 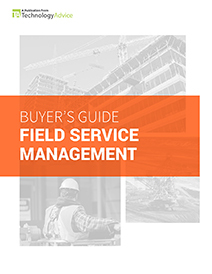 Field service management is valuable in its own right but when you combine FSM and accounting, you decrease cycle times and increase your ability to deliver fast, efficient service. In our opinion, these represent the most usable and current field service solutions that integrate with QuickBooks, but they aren’t the only ones. Use our product selection tool to get a custom FSM recommendation based on your industry, company size, and the features you value most.